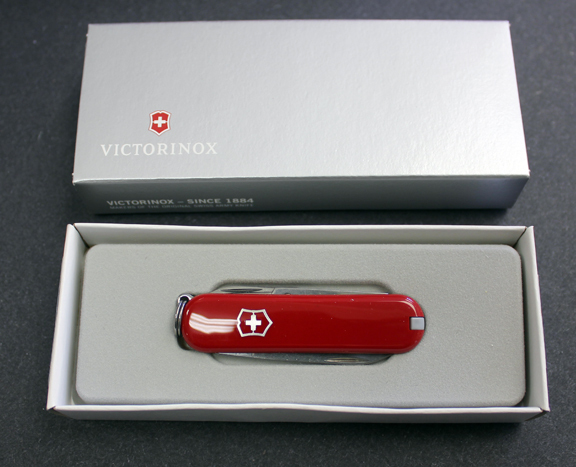 The original Victorinox Swiss Army knife, red classic style. Has all the standard features of the regular classic, knife, nail file, scissors, toothpick, tweezers and keychain ring. New in box, full swiss army warranty.